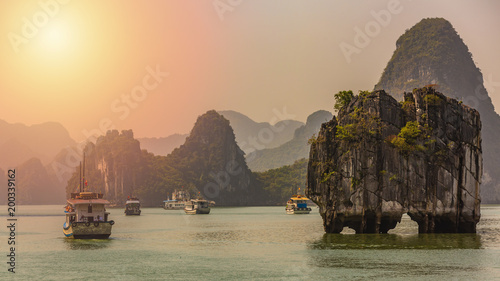 Beautiful sunset Tourist junks floating among limestone rocks at Ha Long Bay, South China Sea, Vietnam, Southeast Asia. 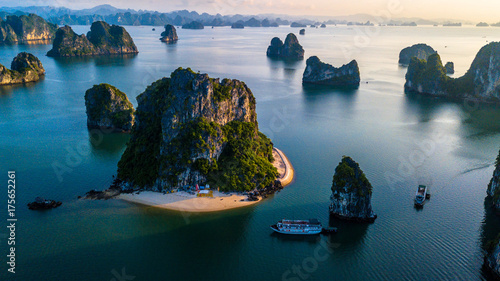 View over Ha Long Bay. 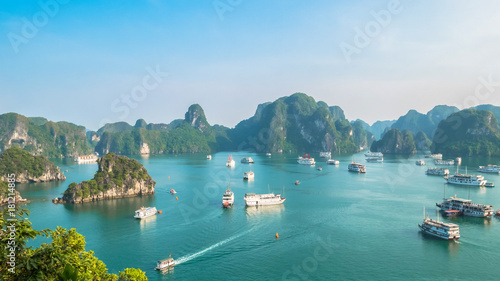 View over Ba Tu Long Bays iconic limestone mountains, with cruise ships. 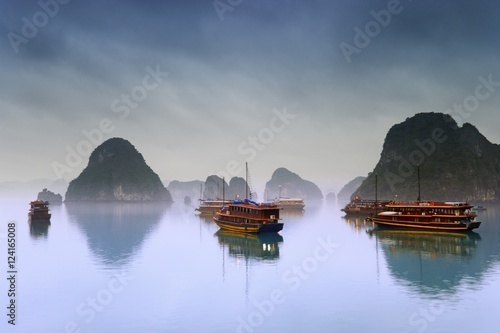 Taken near Ha Long, Vietnam. 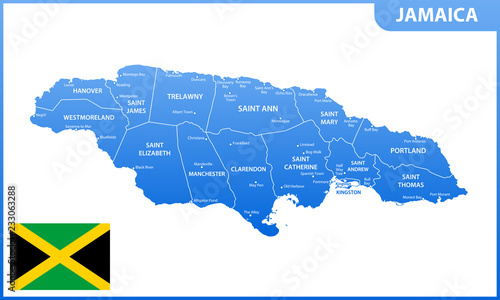 The detailed map of Jamaica with regions or states and cities, capital. 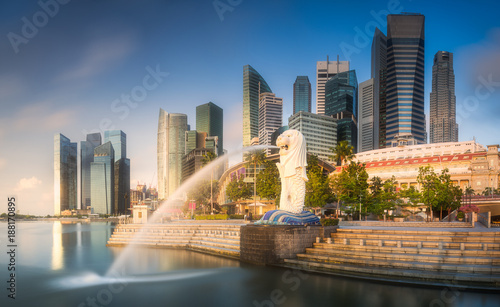 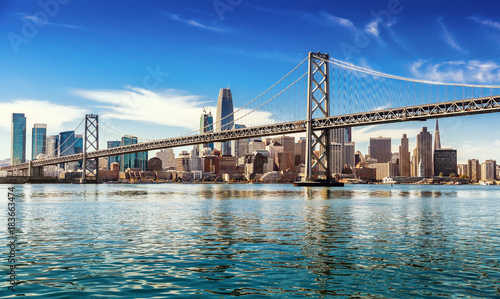 Administrative division. 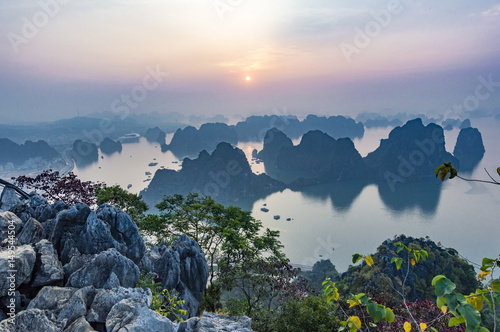 Beautiful Halong Bay landscape view from the Ti Top Island. 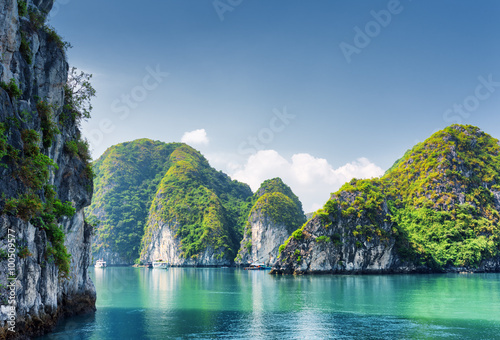 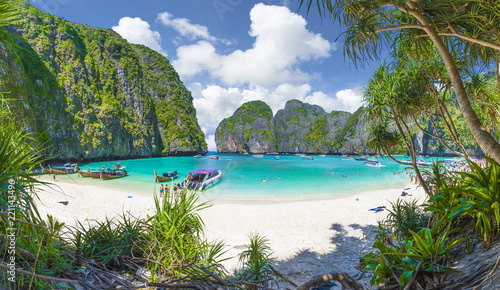 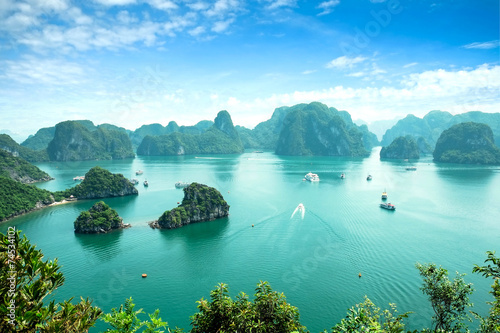 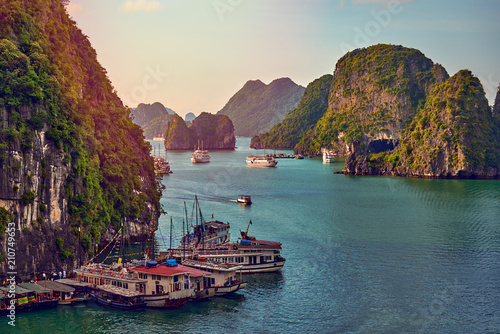 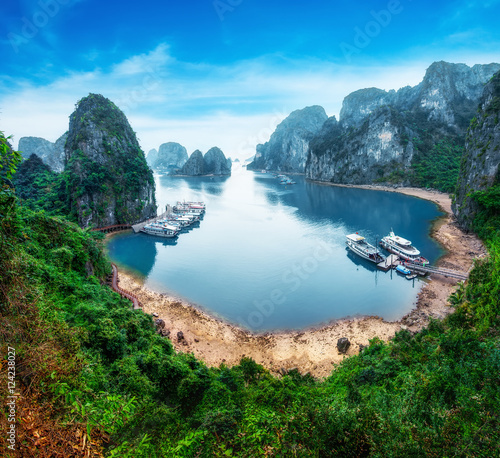 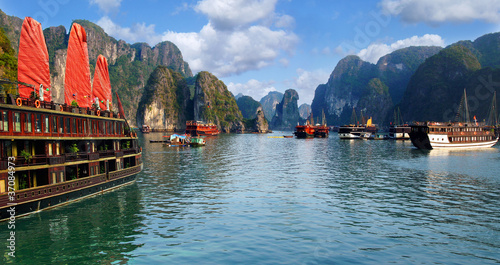 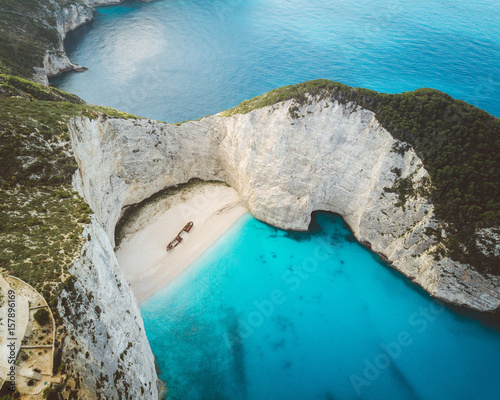 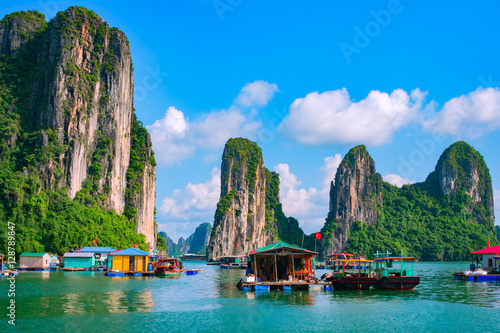 Halong Bay is the UNESCO World Heritage Site, it is a beautiful natural wonder in northern Vietnam near the Chinese border. 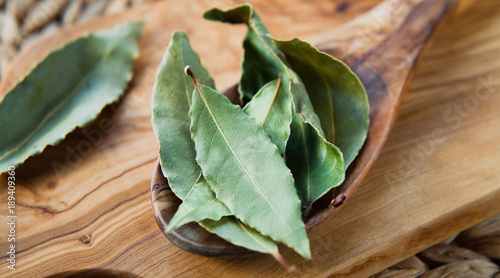 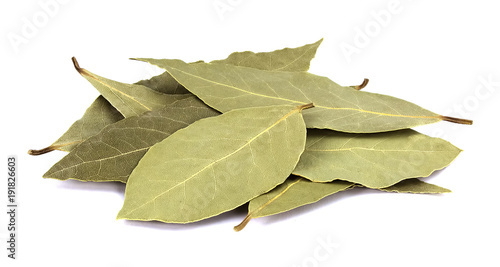 Dry Bay Leaves - aromatic Indian spices on wooden spoon, macro.